Your central heating unit is already prepped for colder temperatures — you took care of that a few weeks back when you got it ready for fall. However, you’re not totally out of the woods yet! Now that winter is just over the horizon, it’s time to adjust your preparation just a bit for the upcoming colder season. The things you need to take care of in order to prepare your HVAC unit for winter aren’t too terribly different than the ones you already did. They still involve doing your best to help it brace for chillier temperatures, but there are a handful of distinct differences. Freedom Air & Heat’s experts are here to help! Air circulation is a multi-step process that involves the exchange of air from outside, so it only makes sense to ensure the outdoor parts are prepared as well. You’ll want to take a look at the condenser outside, which looks like a large metal cube. Remove any debris that might be strewn around it, and make sure nothing will fall on top of it. Also, cover any exposed pipes with foam pipe covers. Pipes are at risk of freezing and cracking when temperatures plummet, and even though we’re in Florida where it doesn’t get too cold, you’d rather not get caught off-guard. This is a fairly basic, common upkeep task, but it’s extremely important. If you go too long without changing your air filter out, it will have trouble keeping your air clean and possibly lead to more complications. 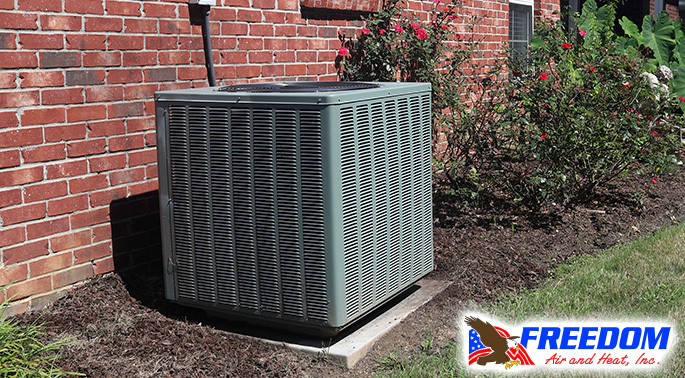 Contaminated air makes it harder for your HVAC unit to execute the air-circulation process, which is a hang-up you can’t afford to have when it gets cold. Stay on top of this by swapping out your filter for a new one every 30 days, and you’ll be golden. As far as worst-case scenarios go, turning on your furnace when it’s frigid outside only to be greeted with a thud and a clunk indicating a broken unit is about as bad as it can get. To avoid this sticky situation, test your furnace a couple of times before it gets too cold outside. This way, you’ll know if anything’s wrong with your HVAC unit while you can still afford to go without it for a bit. Don’t wait until you desperately need warm air to switch it on for the first time! We know that Floridians don’t usually have to deal with the winter temperature problems that some of our U.S. neighbors do, and we’re grateful for that! However, that doesn’t mean we never experience cold weather. When the chilly temperatures roll in, don’t look any further than Freedom Air & Heat for your heating needs. We’ll have you and your family back to being cozy and comfortable all winter long! Give us a call at 321-631-6886 to schedule an inspection today!